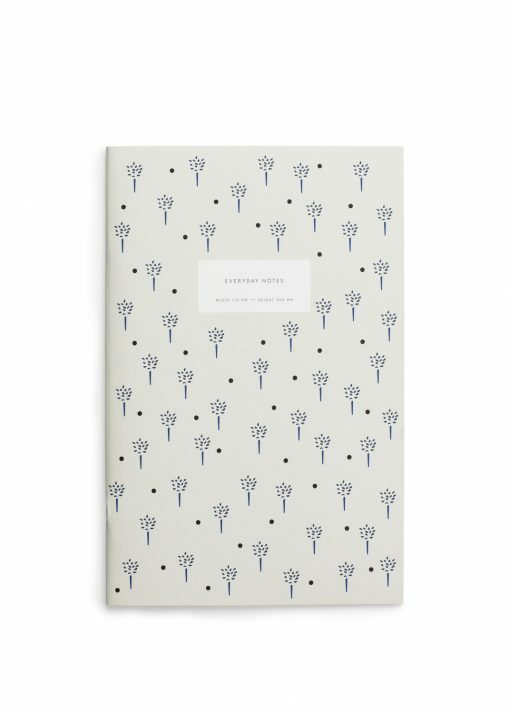 Notebook with a light and simple cover. 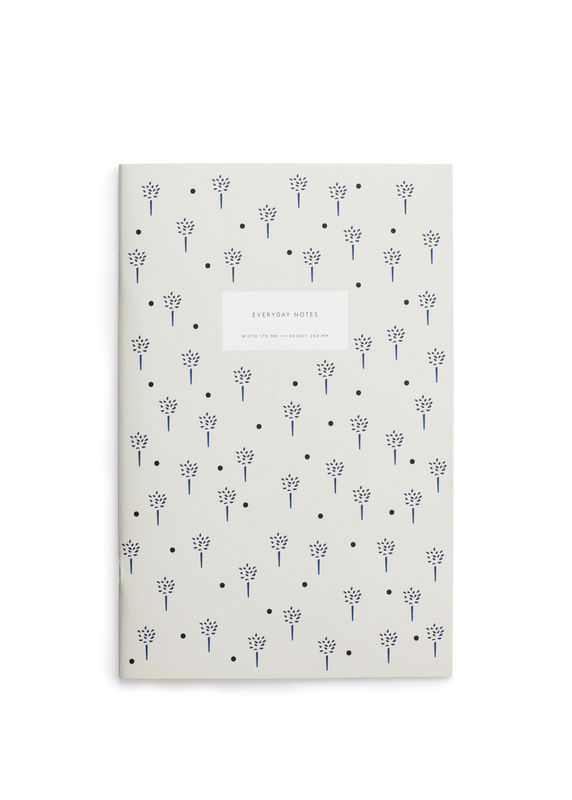 The interior is beautifully covered by dotted/grid pages. 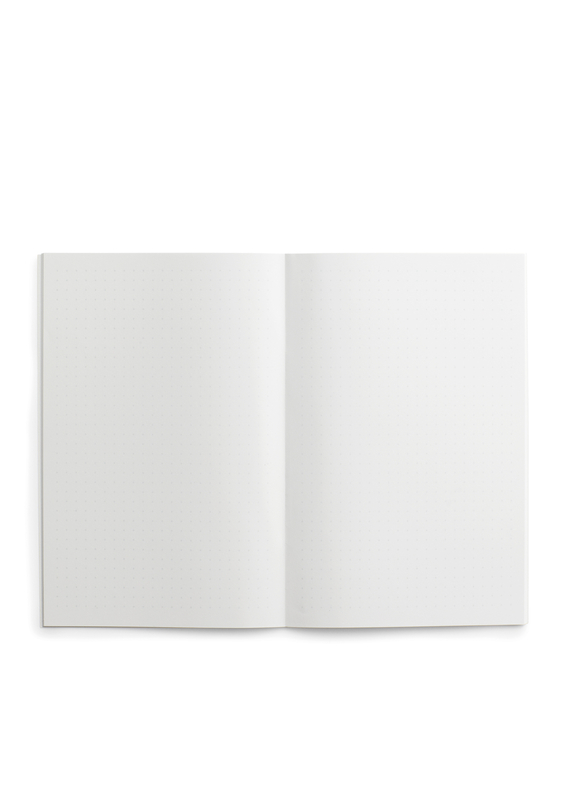 Write and draw your ideas and thoughts in this mediumsized notebook.